Unfortunately, some Chicagoans do not understand that UIC and the University of Chicago are two distinct institutions. That will all change this Saturday when the Maroons take on the DI Flames in Burr Ridge, IL. For 12 years prior to his current position, Tee played and then helped coach for Cleveland State University, a Horizon League rival of the Flames. Chicago defeated UIC before Tee arrived as head coach. In 2012, the Maroons boasted a 5–2 victory. While the Flames are 1–4 on the season, their most recent contest was a 7–0 shutout of Western Illinois. Still, Chicago is up for the challenge. But the Maroons’ depth also brings about challenges. Considering that Tee has an overwhelming number of DI-caliber players on his squad, decisions pertaining to the lineup on a match-to-match basis are by no means easy. Against UIC, Tee will pencil in Kranz with third-year Deepak Sabada at No. 1 doubles, third-year Ankur Bhargava with first-year Max Hawkins at No. 2, and fourth-year Zsolt Szabo with first-year Brian Sun at No. 3. Hawkins, along with Szabo, held the No. 2 spot for three of the last four matches. The No. 3 spot consistently changed. Tee noted that not only do the skillsets of Bhargava and Szabo complement Hawkins’ and Sun’s, respectively, but their personalities do as well. Tee will keep Kranz at the top singles spot with Sabada right behind him. In spite of Sabada’s grasp on the No. 1 position for the entirety of last season, Tee said Sabada is “on-board” with the decision. Sun is set to play at No. 3, Bhargava at No. 4, and Hawkins at No. 5. At the time Tee was interviewed, he was still deciding whether second-year Gordon Zhang or Szabo would round out the singles lineup. 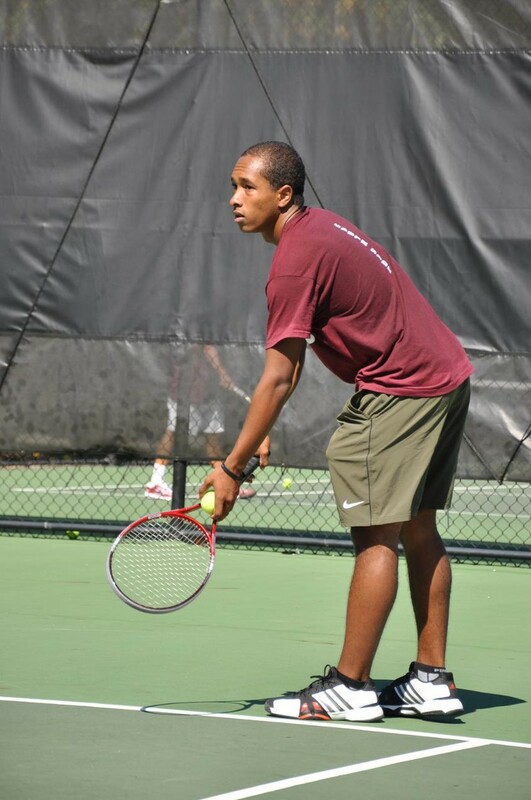 One thing is for certain, that everyone associated with Maroon tennis, especially Tee, is excited for Saturday. “I can’t wait to play this match,” Tee said. Doubles is scheduled to begin at 6 p.m. at Five Seasons Sports Club in Burr Ridge, IL.